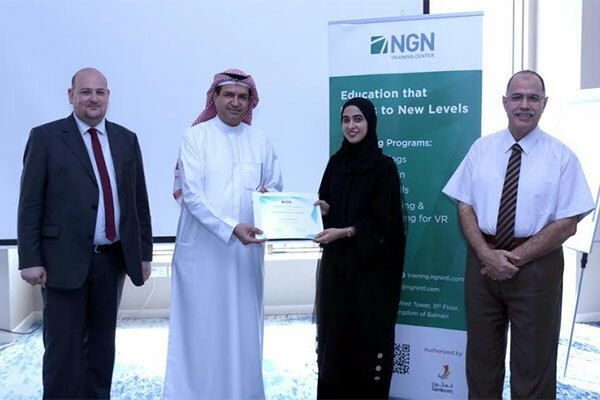 Bahrain’ s Ministry of Works, Municipalities Affairs and Urban Planning, in cooperation with educational courses provider NGN Center organized a training course for ministry staff in technical report writing. The four-day course included an intensive training on designing effective technical documents for both written and digital media, which is one of the basic means of communication between the various administrative levels, and standardize the methodology of these reports to increase their effectiveness and the ability to analyze information and understanding and decision-making, and contribute to the ease of technical follow-up process. During the course, trainees were introduced to the principles of technical writing, with particular emphasis upon technical memos, problem-solving and decision-making reports, and organizational, and product-support. The course encouraged trainees to understand and use structures of argument appropriate to technical documents, including problem-solving and decision-making structures, develop effective communication with technical as well as non-technical staff at all levels – matching your content to your readers’ knowledge, brainstorm and identify technical problems and solutions and Transfer technical information into graphs, flowcharts and tables. Yaccob Al Awadhi, CEO of NGN Center, explained that this advanced training course comes within the framework of the Center's keenness to move forward in training and enhancing the skills of Bahraini cadres in various fields, thus contributing to supporting national efforts aimed at developing performance in various governmental and private sectors. Al Awadhi praised the course outcomes and trainees’ keenness to benefit from information they acquired during the course to develop and enhance their performance and career, praising Human Resource Management in the Ministry of Works keenness to support and enhance its staff skills.